TOKYO—Saying it was simply time for drivers to move on, Toyota Motor Corp. issued a recall of its entire 1993 Camry model line Wednesday due to the fact that its owners really should have bought something new by now. “We understand that the 1993 Camry was tremendously dependable, but, honestly, there’s just no excuse for driving a 22-year-old car at this point,” said Toyota spokesman Haruki Kinoshita, adding that, with all the advances in automotive technology that have taken place, no one really had any business driving a vehicle for more than two decades. “We’re not saying you have to buy a new 2015 Camry or splurge on a flashy new hybrid, or even that your new car has to be a Toyota at all. 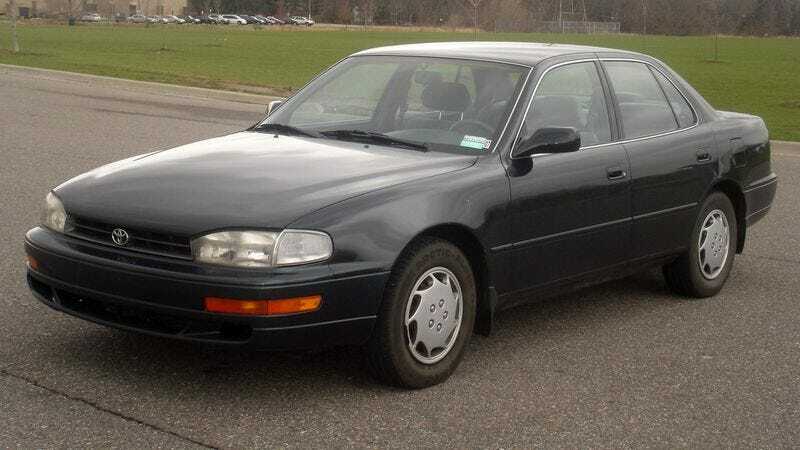 But the bottom line is that you need to start fresh, however you choose to do so.” While Toyota is reportedly confining its recall to the 1993 Camry, it also issued a warning to owners of 1994 to 1998 models alerting them to the fact that they were really starting to push it.